In the tradition of classic leering, cackling villains of stage and silent screen melodramas, Mr. Teeth appears most unexpectedly to a young Girl and her boyfriend during an innocent picnic. The Girl has issues of her own, and must contend with them while desperately dodging Mr. Teeth’s dastardly attempts to pursue her. Is Mr. Teeth an exponent of the troubled Girl’s inner struggles…or is he a real threat? I think of this little storybook as a fairy tale for adults, or a “Symphony of Horror and Healing”, told through the use of handmade puppets and figurines against atmospheric backgrounds. The Terrible Mr. Teeth is available for purchase here. You can find over forty products featuring Mr. Teeth, including T-shirts, hoodies, mugs, and book bags, on my RedBubble site. Flickers is an epistolary short novel chronicling a tumultuous interval in the life of its protagonist, Philip Griffin, a warehouse packing clerk, living and struggling in the early twentieth century. Deeply shy, even avoidant; sorely lacking in self-confidence and with no idea who he is, Philip’s dreary life takes a dramatic turn when he falls in love with Lucinda Styles, the niece of his sister’s employer, Eugenia Styles. Lucinda is staying with Philip’s sister, Cora, prior to her arranged marriage to Edgar Bothwicke, CEO of Bothwicke Printing—which will allow for a necessary merger between Bothwicke Printing and Styles Publishing. Unsettled in his complacent existence by these new, unfamiliar emotions, Philip soon finds himself unable to reconcile the fact of Lucinda’s inaccessibility to the point that he retreats into a dream world; in this case, the world of silent films, in which, like Walter Mitty, he sees himself as the hero of his own personal swashbuckling adventure/thriller tales. How much Philip’s romanticized visions of those around him—particularly Lucinda and her unappealing suitor—actually mirror the characters themselves (or do not) is the theme of the story. The original idea for Flickers was to illustrate it with photos of scenes in miniature, suitable to the silent film era, as actual silent film slides; a concept in keeping with the theme of Philip’s vicarious obsession with the movies he imagines himself and others in. I’ve retained that concept, but have decided to go a step further and use real people for these shots, actors from the local talent pool, appropriately dressed on real-life “sets”. It would basically be like shooting something less than a movie to create something more than a graphic novel. I hope. We’ll see. This mixed-media graphic novel tells the story of teenager Kit MacGuire, who has moved with her father to the small town of Marigold, Ohio. Since childhood, Kit has concealed the abuse she suffers at her drunken father’s hands, but as his treatment worsens, it becomes harder to keep it a secret. Through a new friend, Jimmy Sheppard, Kit learns of Susan Linwood, a young girl from the town who was murdered by her stepmother and step-siblings thirty years ago. She finds herself struggling to ignore the parallels between Susan’s fate and her own harrowing situation…until past and present meet one unforgettable night in Echo Forest. 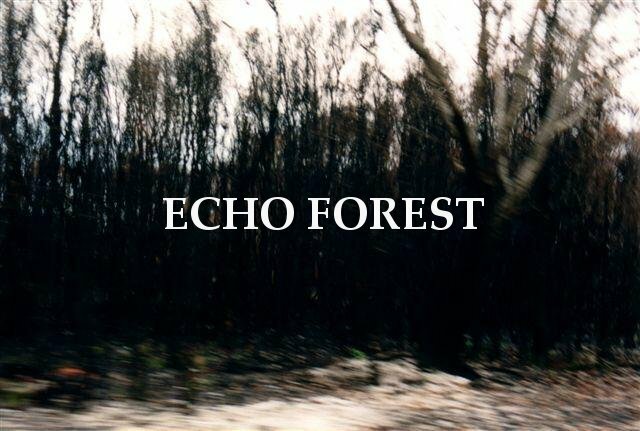 Echo Forest is based in part on actual events. Here is the promotional trailer. 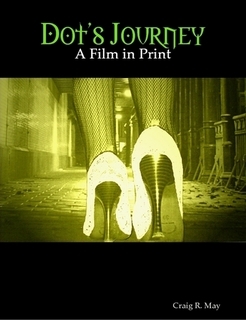 Another retelling of the Oz tale, this time as a stop-motion film noir in the format of a graphic novel. Dorothy “Dot” O’Connor, a down-on-her-luck chorus girl, takes the YellowTrail Express to meet the mysterious father she has never known, Winthorne Owen Zolarde. On the train, she befriends a young porter, Terry “Totes” Aberdeen; a very intellectual stage star, Stephen Hayes; a sensitive young waiter, Todd Silver, and a not-so-ruthless robber and stowaway, Lionel King. The four men soon become fast friends with Dot…but will they be able to save her from the clutches of her wicked witch of a stepmother, Irene West, who wants her eliminated so that she can inherit her estranged husband’s fortune? My first bona-fide novel, Alexander the Avenger and the Star-Struck Summer, is completed and published through lulu.com. It’s been in gestation for a long, long time; I began writing this young adult/coming-of-age story in 2009. It concerns an introverted young boy, Colin, who spends a summer with his Great-Aunt Sophia, a retired movie star, and how their friendship yields positive changes in the lives of both. I am often surprised that I felt compelled to write this as a story, let alone a full-length novel. No photos, no drawings (although I did do illustrations, most of which won’t be used), no gimmicks. Where are the gothic mansions? The vintage era? (The story is set in 1987.) The silent, grim-faced housekeepers, sardonic detectives and slinky vamps? Well, the vintage era is there in retrospect—Aunt Sophia’s career spanned the forties and early fifties. But I have to admit that, despite the occasional dark family secret and sinister female, the tale is neither a thriller nor a true mystery, yet it does have a heart. I can honestly say that I left the story genuinely liking Colin and Sophia, which is not always the case in my other works. Is it worth reading? I can’t answer that objectively, but I did have the book professionally proofread, and the young lady who performed this service (excellently) was impressed. If nothing else, it demonstrates my range, and I put into it (I hope) a depth of emotion and personal experience which gives it a very special place in my heart, regardless of its success. 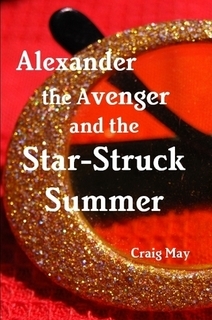 Alexander the Avenger and the Star-Struck Summer is available for purchase here.